A man in Oklahoma has beheaded one woman and wounded another after being fired from his job, police have said. 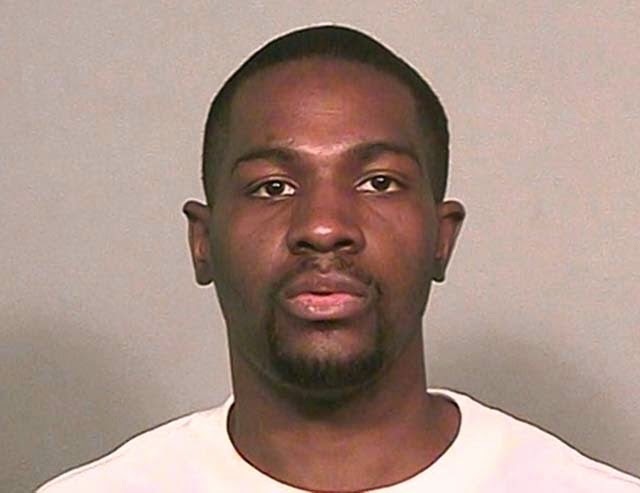 Alton Nolen, 30, attacked the two women at Vaughn Foods distribution plant in Moore, Oklahoma on Thursday afternoon. A manager who is also a reserve police officer stopped the attack by shooting and injuring Mr Nolen. A police spokesman said the FBI was investigating Mr Nolen's background, after colleagues said he had recently tried to convert them to Islam. But Sergeant Jeremy Lewis from Moore Police Department said the attack "did appear random". Earlier in the afternoon Mr Nolen had been fired from his job in the plant. 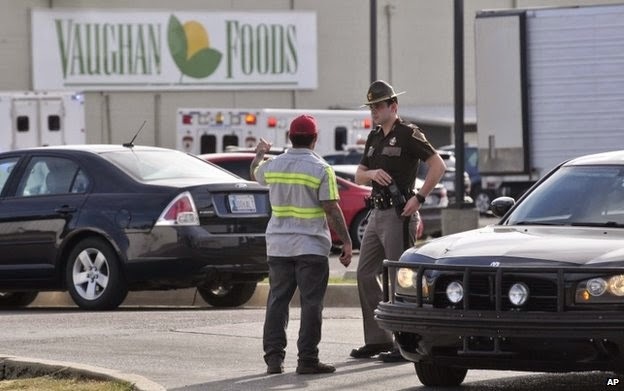 Police said he was angry and immediately went to the parking lot, then drove his vehicle to the front of the business where he hit another vehicle. Mr Nolen then entered the main entrance to the front office where he came across his first victim, Colleen Hufford, 54. "During the attack, Nolen severed the victim's head," said police. Mr Nolen then began assaulting his second victim, Traci Johnson, 43, with the same knife. "It appears they were just in his way when he came in," said Mr Lewis. Mr Nolen's attack was stopped when the CEO of the plant, Mark Vaughn, who is a also a police reserve deputy, shot and injured him. "The off-duty deputy definitely saved Traci's life," said Mr Lewis. Mr Nolen and the second victim were taken to the hospital where they are both said to be in a stable condition.